1.2 Million in 30 Days From Facebook Ads: How Robby Blanchard Became the Commission Hero! How Nik Elliot Sold $500,000 of Online Fitness Coaching in 1 Month! How Ondrea Lynn Made $11,000 From Online Coaching Serving Spiritual Women! Craig Ballantyne: Be Unstoppable & Alleviate Anxiety with Action! 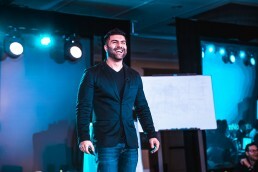 How Alex Hormozi and Leila Hormozi Grew GymLaunch from Zero to 40 Million in 18 Months!